IUI is the procedure of transferring the sperm cells, extracted from male, into the uterus during the ovulation process. Some couples may encounter problems in fertilization of the egg cell by sperm cells through the tubes through the uterus. In this case, treatment options include IUI. Who Are Eligible for IUI? For IUI procedure, at least one of the tubes must be open. 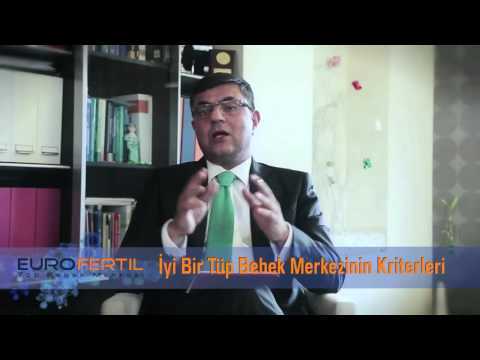 In addition, the count, motility and morphology (normal-shaped sperm percentage) levels of the sperm cells must be at the limits to allow intrauterine insemination. The period of preparation for IUI includes external administration of medication to stimulate the ovaries. These drugs target to ensure a healthy follicle (containing an egg cell structure) development in the ovary. How Development of Eggs is Followed Up? Egg development is followed up with ultrasound and hormone analysis. Dimensions of the egg cell is followed up in ultrasonography (USG). This follow-up is of a great important because when the follicle size reaches 17 -18 mm, it is ready to hatch. Hormone analysis includes measuring estrogen and LH hormones. Increase in the estrogen hormone indicates a health follicle development. LH hormone allows the follicle to hatch and release of the egg cell by showing a sudden increase during ovulation. The released egg cell passes through the tubes and is fertilized by the sperm cell here. An unexpected rise in LH hormone during the treatment process may result in premature hatching of the follicle and in failure of performing intrauterine insemination. For this reason, hormonal and ultrasound measurements are important in the follow-up. The use of drugs will begin in the 3rd to 5th days of the menstrual cycle. The first USG and hormone analysis is performed in the 8th to 9th days and dosage adjustment is made. After that, follow-up usually will continue every other day. How Ovulation Time is Determined? When it is determined in USG that dimensions of the follicle reaches18-20 mm, the follicle is hatched by administering an external injection. To do this, the hormone hCG is used. This hormone allows the follicle to hatch and release of the egg cell. As many pain killers would negatively affect the ovulation, such drugs should not be used when ovulation period is close unless it is necessary. You can continue your sexual life during the treatment process. Please inform your physician before the treatment in case you have any medication you constantly. Do not use medicines without the knowledge of your physician. Stay away from radiation. (X-ray, etc.). How IUI Time is Determined? Male sperm sample is taken on the day the IUI procedure will be performed. This sample is passed through a series of processes, and thus, sperm cells with the most motility and highest chance to fertilize the egg cell are separated. 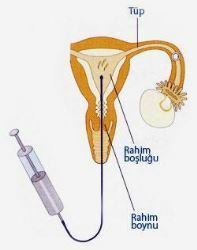 Such high quality sperms are injected into the uterus using a syringe by entering into the uterus with a plastic cannula which we call catheter. The IUI procedure is painless and does not require anesthesia. The procedure takes approximately 10 to 15 minutes. You can leave our clinic immediately after the procedure is completed. You can continue your sexual life after the procedure. Please inform your physician in case of an unexpected vaginal bleeding. Multiple Pregnancy: As the medications used for the IUI procedure may cause development of multiple follicles in the ovaries, the multiple pregnancy rate increases. Hyperstimulation syndrome: The ovaries may over-respond to the medications used. In this case, a growth in the ovaries and in severe cases, hydroperitoneum can be observed. Irresponsiveness of the ovaries the medications used: Although it is not very often, the ovaries may give inadequate response the medications used. In this case, the IUI procedure cannot be performed in that month. Premature Follicle Hatching: Premature follicle hatching may occur depending on the unexpected rise of LH hormone. In this case, the IUI procedure may not be possible. Success rate of the IUI procedure per treatment is 15% to 20%. However, in cases where sperm count of the male partner is within the normal range and oviducts of the female partner are healthy, this rate can reach 50% in total after several attempts within a year. Averagely, 3 to 4 IUI cycles can be attempted, if no success is achieved, IVF is recommended.